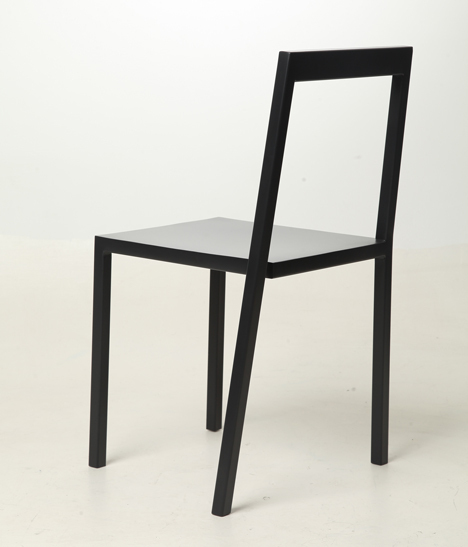 London Design Festival 2014: this angular steel chair by Georgian designer Sandro Lominashvili has a seat with four corners, but only three are attached to the frame. 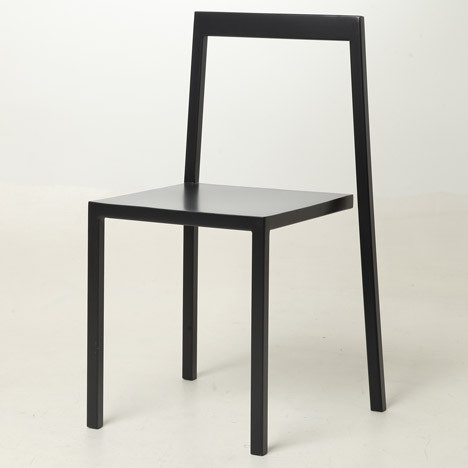 Chair 3/4 has square-sectioned steel tubes that have been welded together to leave one corner disjointed from the backrest. The seat floats above an angled leg that gives the appearance it has been wrenched away from the frame. 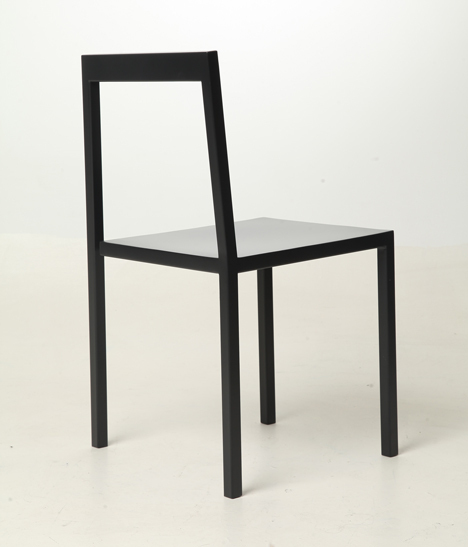 “My intention was to create a chair by breaking rules and standards,” Sandro Lominashvili told Dezeen. 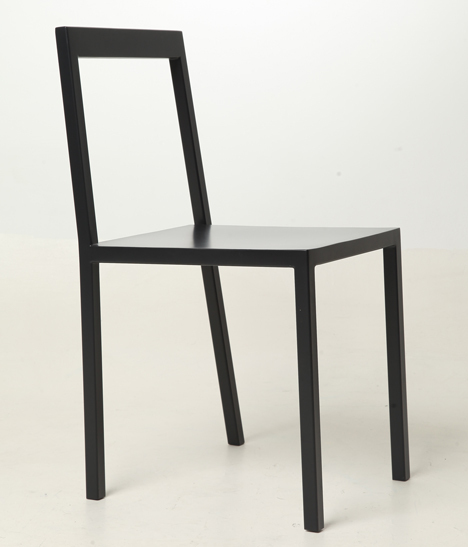 While the chair may look unstable because of its disconnected outline, the angled leg balances the object to prevent it from falling over when sat on. “Some people find it a bit difficult to sit on the chair for the first time, they think it might not be able to withstand their weight and collapse,” Lominashvili said. “After using it for a couple of times they become more comfortable with it, because in reality, it’s a perfectly balanced and quite comfortable chair,” the designer told Dezeen. Sandro Lominashvili presented Chair 3/4 on the Ventura London stand at the designjunction exhibition during London Design Festival, which ended on Sunday. Other balancing furniture pieces include a two-legged chair that requires users to constantly adapt their position to keep seated and a shelf that leans against the wall without the need for fixing from the Ikea PS furniture collection. Next articleDavid Adjaye: "Africa Offers An Extraordinary Opportunity"